The Best static anti downdraught cowl. Launched in 2005, the M.A.D (metal anti downdraught) brand of chimney cowls has become the most dominant brand in the UK. 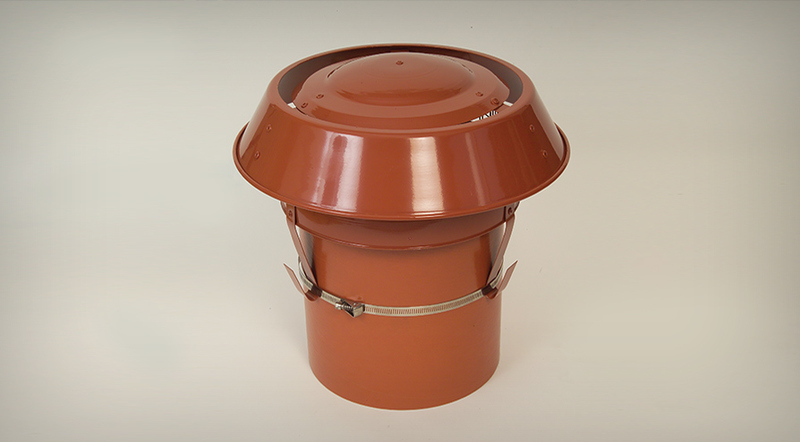 The M.A.D cowl range is by far the best quality and most comprehensive range of chimney cowls to help solve every type of chimney-related problem. The knowledge and technical support we offer our customers far surpasses that of our competitors, whilst our focus on solving chimney problems with modern designs and the most up to date of aerodynamically shaped products, cements our market dominance. Testament to our claims is that our range is available for all the largest builders’ merchants’ right across the UK along with all major chimney and flue distributors. If you are looking for a stockist in your area, please call us on 01685 811882 and we will be happy to provide you with details on local stockists. 48 hour delivery (excluding weekends) on our mainline products. Money back guarantee, if products are used properly, when they do not meet your expectations. Products arrive fully assembled and ready to fit. They include a mesh birdguard and desired fixing kits, i.e. bolt or strap fixing. Our in house design team can usually turn your ideas into products within four weeks.